Inside a dark, low-ceilinged room once frequented by Picasso and Modigliani when they were still struggling artists, a group of tourists from Russia, Canada and Australia are listening to traditional French songs. 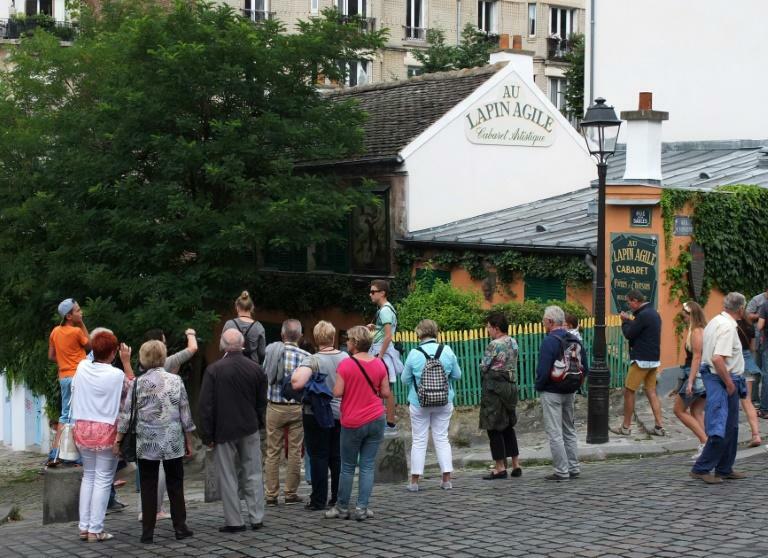 This is the Lapin Agile, a small house surrounded by acacia trees which is home to the last cabaret in Montmartre, an iconic neighbourhood perched on a hilltop in the middle of Paris. But in recent decades, this village-like district of steep, hills and sweeping views has been transformed by the arrival of mass tourism. "It's the last of the traditional cabarets," says owner Yves Mathieu, grumbling about the proliferation of souvenir shops selling Paris mugs and Eiffel tower key rings clogging the nearby cobblestoned streets. "I'm 90 years old but I'm not giving up," he says pointing to the cabaret's sparse furnishings of plain wooden tables and benches. Its walls are decorated with copies of works by Pablo Picasso and Henri Toulouse-Lautrec, artists whose original paintings once helped pay for their meals there. Many folk singers also made their debut here -- among them Leo Ferre, Georges Brassens and Charles Aznavour who passed away earlier this month aged 94. But these days, the top of the hill -- "la Butte" -- which was once a 19th-century mecca for artists, risks being swamped by industrial-scale international tourism. 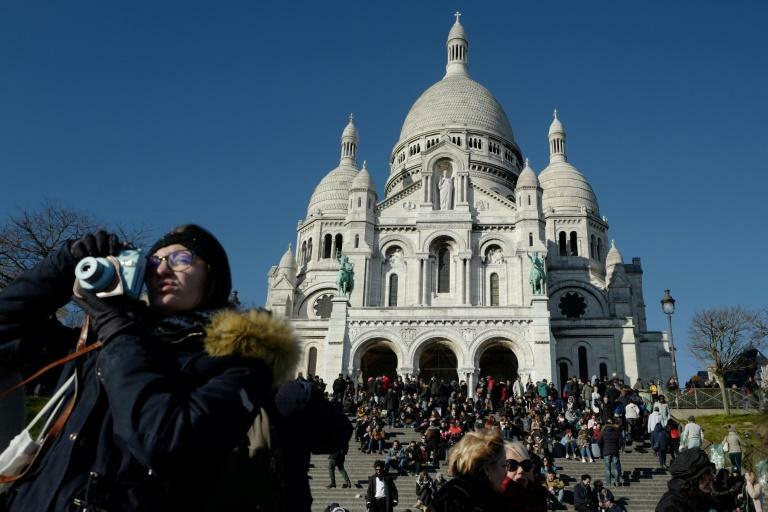 Some 12 million tourists tramp up its slopes every year, usually to admire the white-stone Sacre Coeur basilica, the panoramic views of Paris, or to visit the most famous of the French capital's vineyards. For now, Montmartre hasn't yet turned into Venice, he says of the historic Italian city which is visited by around 24 million tourists annually every year. "There is still stuff worth saving," says Coquard. But for long-time residents, it's another story. "Here, at the top of the Butte, it's game over," sighs this 76-year-old, sitting at his usual table in a restaurant once painted by Vincent Van Gogh. Spiralling rents have driven out ordinary shopkeepers, says Frederic Loup who owns a pharmacy which has been serving local residents since 1927. Today, it is the only local shop left in the area. "The baker left. The butcher also left. The problem is the rents, which only the souvenir shops can afford," he says. Once favoured by penniless artists at the end of the 19th century for its cheap lodgings, Montmartre has seen property prices sky-rocket over the past three decades, with its homes snapped up by the rich and famous. Already a hit with the tourists, Montmartre won further acclaim when its picturesque streets hit the big screen in 1991 with the release of "Amelie", a light-hearted romantic comedy which painted a rosy, idealised version of the neighbourhood. But while the area's unique charm has caught the attention of stars like Hollywood actor Johnny Depp, locals are moving out. Thirty years ago, the cost of an apartment was around 1,500 euros per square metre ($1,700 for 10 square feet). Today, buyers are looking at 10,000 or even 20,000 euros per square metre, says Brice Moyse who heads Immopolis, an estate agency which specialises in properties in Montmartre. With such prices, there no chance that any struggling writer or artist could even think of following in the footsteps of Pissarro or Renoir by moving into the district. 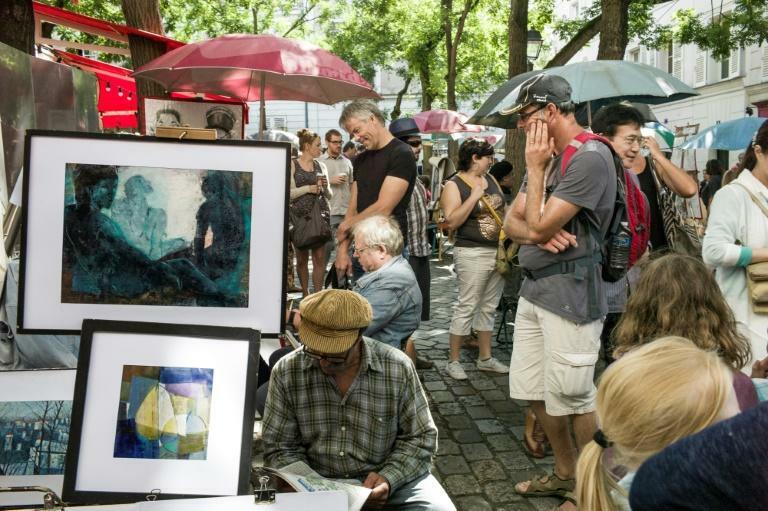 Those artists who do work there tend to make a living by rushing off pencil sketches of tourists or more elaborate paintings of city landscapes which they sell to visitors. But even they fear being chased away. Much of the artwork in local tourist shops is made in China and sold at bargain prices. "They are forgers, parasites!" fumes street artist Midani M'Barki, referring to the Chinese competition. M'Barki, who heads the Paris-Montmartre artists' association, also rails against the way local cafes and restaurants have increasingly taken over the pavements, squeezing out painters. A recent bylaw gives street artists the right to ply their trade on the pavements, but the space taken by restaurant tables and chairs has expanded. "We're now in the gutter and the terraces are thriving," says M'Barki who has worked in the area since 1970. "We should be given half the space," he says angrily. "If we don't get it, we'll leave. And without us, there won't be any Montmartre."